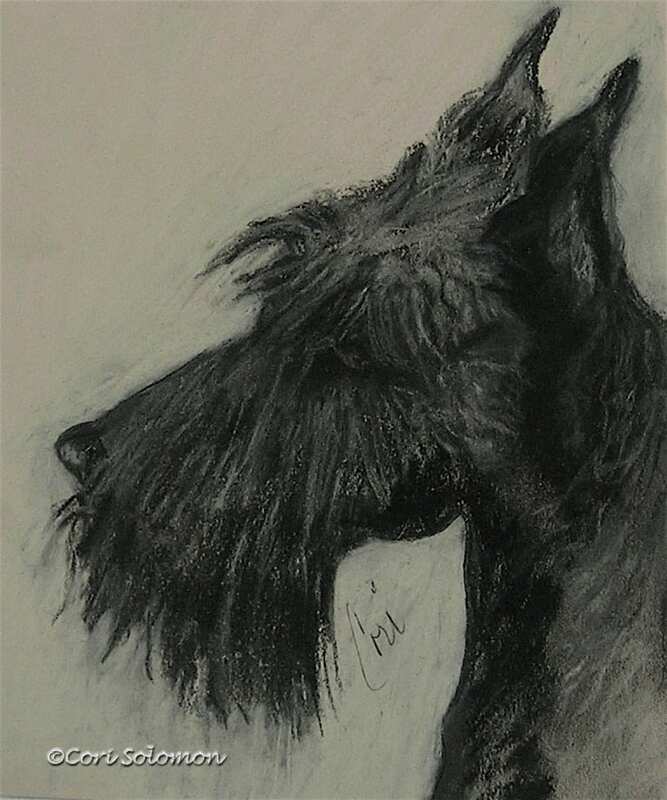 Pastel drawing of a Scottish Terrier in profile. This Scottie drawing is created with just two colors, black and khaki for the highlights. This dog art is framed and matted. To purchase this Scottish Terrier drawing email Cori.